If you are like me, you view cooking as a chore. The prep and the clean-up for meals made from scratch are just a little too much work. If it's hard for you to cook for your family, you surely won’t do it for your dog. 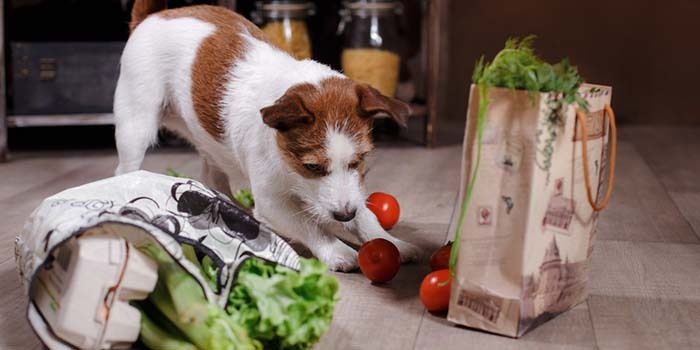 Not to worry – you can supply your canine with nutritious, fresh food and great taste without a hassle by using a homemade dog food delivery service. What Are Homemade Dog Food Delivery Services? A homemade dog food delivery service is exactly what it sounds like. You pick a website you'd like to order online from, and they will bring a single meal or a box of meals for your pooch straight to your door. Depending on which company you use, other than delivery locations, all of these homemade dog food delivery websites differ in two ways: (a) the company's approach to making their homemade dog food meals, and (b) the type of recipes they have. (a) Approach. 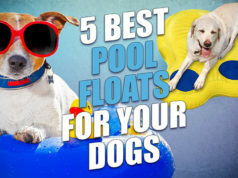 Some websites will have a number of recipes that you can pick from and order, while others will ask you to fill out a form about your pet and tailor meals specifically for your dog's nutritional needs based on that information. Some companies will also be focused on ensuring a “human grade” process. (b) Recipes. One company may offer well-balanced, fresh homemade dog food recipes made up of meats, fish, vegetables and fruits where the final meal looks like a dish for human consumption, while another company will be focused specifically on raw dog food recipes and uncooked, minimally processed meals. Other than these two factors, the ten best homemade dog food delivery companies are very similar. You'll quickly see that this is mostly popular in the USA, and it's only slowly picking up in Australia, Canada and Europe. I haven't located any homemade dog food delivery websites for other locations. Before ordering, make sure to pick the one that delivers to where you live and research other pet owners' reviews. A rapidly growing homemade dog food delivery service in the USA, Nom Nom Now has an introductory offer – 50% off of your first order. With an actual veterinarian Dr. Justin Shmalberg in charge of all their homemade dog food recipes, you are sure to get a healthy, well-balanced and nutritious meal for your Fido. You can read more about how the process works and what you get in our Nom Nom Now review. Pricing: Price is not readily available on their site. You fill out a form, and the company will send you an email with the price for your pet’s meal plan. Dog food meals are delivered in the continental United States. They are individually packaged by portion. My Perfect Pet is available in select stores across the United States, but you can also use them as a homemade dog food delivery service by ordering from the website and have it FedEx-ed right to your door. They cook all dog food meals in their kitchen using fresh, whole foods sourced in the USA. They even have a form you can use to select the perfect and well-balanced meal specifically for your individual pet’s needs. Pricing: For $49.99 you get 2 packs (14 individually wrapped bars) of homemade dog food delivered fresh for your pooch. One bar is portioned for a 20 pound dog. You can set up recurring orders for your convenience. If you are looking for raw dog food meals for your fur-baby, Darwin’s may just be the perfect vendor for you. They are a unique homemade dog food delivery service that will ship vacuum packed raw meals to any address sin the continental United States. Their meat is sourced from cage free, grass fed animals with no antibiotics, no steroids, and no hormones. The vegetables are organic as well. Pricing: For $14.95, you will get 10 pounds of complete, raw meals for your four-legged family member. They also have a line called “Intelligent Design” for dogs with specific health issues. Prices are charged by the pound for these meals and will vary. The cost includes shipping, but a $6.50 handling charge is applied to all orders. If you live in Sydney, Australia, this is the homemade dog food delivery service for you. DoggyBag company was born out of a couple’s love for their dog. After much trial and error while trying to get their pup's health problems solved, their homemade dog food recipes were born which they now offer to anybody who'd like to switch their pets to a healthier, fresh homemade dog food diet. They cook all their dog food meals in their own kitchen and then personally deliver it to your door anywhere in Sydney. Pricing: With Doggy Bag, you can choose from an “all wet” plan ($7.15 per day), “dry and wet” plan ($6.60 per day), or a “dinner only” plan ($5.50 per day). The meals come portioned for your pet. With free weekly delivery and the first week of dog food free, it's worth it to give this family team a shot. Bringing healthy dog food and dog treats to the pets of the continental USA is the goal of Happy Dog Food company. All ingredients are organic and locally sourced. They are a very popular homemade dog food delivery service and according to many pet owners, you don’t have to worry about your pet not liking their meals and having wasted food left over. Pricing: Prices vary with selection. With dog treats starting at $9.99 and homemade meals starting at $16.95, you are sure to find something your dog will love. If you are worried that your Fido won’t love this homemade food, you can purchase samples for $1.49. Shipping charges are tiered depending on the dollar amount of order and prices start at $1.25. Delivering across the United Kingdom, Butternut Box are claiming to be one of the few homemade dog food delivery services that develop their meals with nutritionists and have them approved by vets. Their homemade dog food is tailor-made for your individual Fido. Before purchasing, you will answer a few questions including the size of your pooch and his activity level among other things. Pricing: Meal prices vary depending on your dog’s needs, but cost begins at £1.60 a day with free delivery. Deliveries are made weekly on Sunday or Monday. If you aren’t home those days, no problem – they deliver in a refrigerated box. Providing high quality homemade dog food across Canada, My Canine Fresh Foods has a variety of meals and dog treats for your fur-baby, and it's the only homemade dog food delivery service in Canada that I was able to find. In general, they are a different type of homemade dog food delivery service in that they make specialized meals for dogs with allergies, and even make treats to help dogs with upset tummies, which is very unique. 100% natural, this is the food your pup has been waiting for. Pricing: Prices vary and discounts are offered for large orders, but one can order a variety bundle of meal patties at $87.75 for 27 patties. One patty is the average dog’s daily meal – half in the morning, and half in the evening. Delivering across Europe, Haustierkost homemade dog food delivery company prides itself on making high quality, raw dog food. Not for the squeamish, this site has a variety of truly unique raw dog treats and meals for your four-legged friend. Make sure you read the descriptions well – some items are individual treats and some are meat only dishes, and some are complete meals. If you are looking for variety, this is the place. Pricing: The prices vary wildly for items on this site. A complete meal costs around €0.70 a day. While shipping is throughout Europe, they do not ship to any islands except the mainland United Kingdom. Shipping costs are €8 per package. Ollie uses human grade food and humans (not machine) to cook their homemade dog food meals. They want you to know there is someone monitoring what goes into your dog’s food every step of the way. You can customize a meal plan including snacks, too. Your pet's meal comes straight to your door anywhere in the continental United States. Pricing: Pricing starts at $3 a day (for small dogs). After you enter your order information, you will be given a price for your dog's meal plan. Your order will also come with a specialized scoop tailored to your dog’s size and energy level so that you always know how much to serve. They offer 50% off your dog’s first box of all natural homemade dog food meal. Another homemade dog food delivery service in Australia, Dog Dinners company makes human grade food for dogs prepared by one person in her own personal kitchen. You can order regular dinners, gourmet dinners, and dog treats. Delivery is available to all areas of Sydney and out to the Central Coast, Katoomba, and Wollongong. Pricing: Meals are packaged and priced in milliliters. Prices for meals start at $6.00 for 500 ml. Dog treats are priced by item number, grams, and more, depending on the item. This site offers the most dog treat choices of any other homemade dog food delivery service I've seen, and the delivery is free. When looking for the best homemade dog food delivery service to provide your pooch with high quality, freshly made homemade dog food meals, make sure you do your own research and read reviews from other pet owners. While I tried to do my due diligence on these companies for the article, I haven't personally used them. Hopefully, this list of homemade dog food delivery websites will help you find what you need for providing your pet with a great type of diet.